It is an 8.2 hr LRGB in dark conditions but with some autofocus problems to be cleared up. 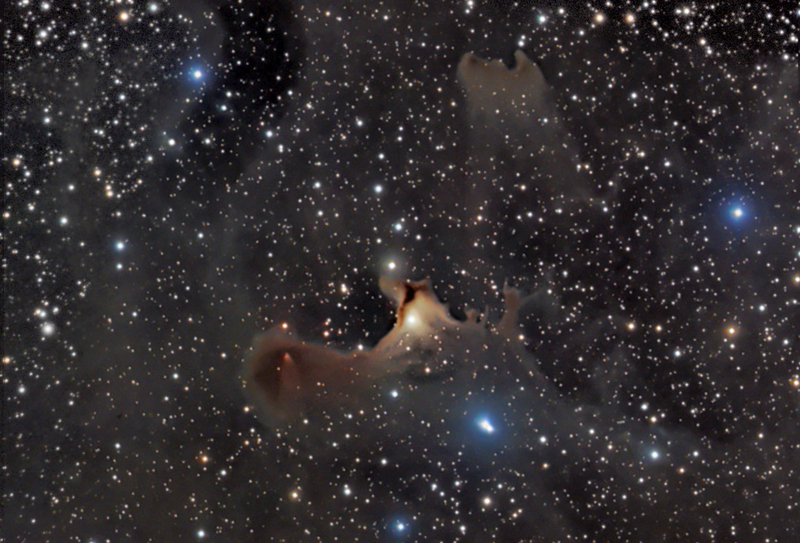 A larger crop of the full frame shows more of the nebulosity in the VdB 141 region. Edited by jeffweiss9, 11 July 2016 - 09:46 PM. Nice image. Congrats on the on the successful FLI / Riccardi setup and this image. Lookin' good Jeff. I'm impressed that this has only 8.5 hours. Perhaps the black point is a bit clipped? It's nice to see an image from that new camera...congrats! Nice start.The black point looks a bit clipped but still a good start.Plan on a ton of time on this one.I think I have over 15 hours on mine just go get it to look half way decent and im in very dark skies. Adjusted the black point a bit. Nicely done, this is such a great object. Nice to see the new FLI in action. Edited by blueman, 12 July 2016 - 06:16 PM. Yes, the FLI 16200 seems to be performing very well. Focus of my optical train seems particularly critical, however, and my current autofocus (TSX @focus2) is not quite doing it for me (yet). Edited by jeffweiss9, 12 July 2016 - 10:52 PM. It's most likely a mechanical issue. Slippage or backlash etc. I've already tightened the Feathertouch 3545 3.5" focuser tension adjustment, but I will tighten it some more and start measuring the focuser extension distance to try to see if there is slippage going on. I have seen focusing degrade with increasing elevation angle over time. I don't think I have backlash or tilt.